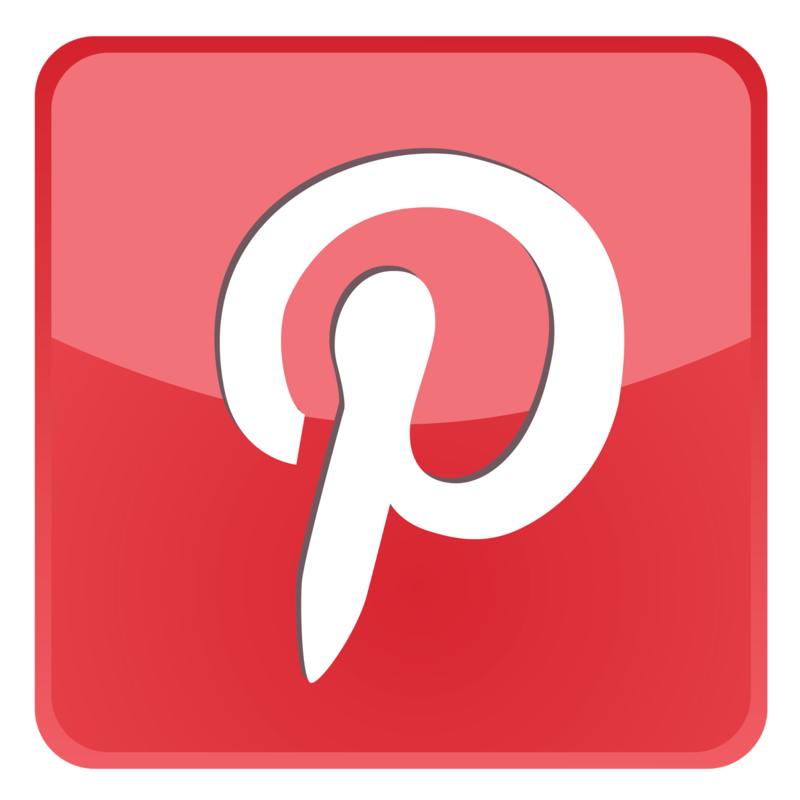 Wedding themes are used by more and more couples to turn their big day into an event that is both meaningful to them and enjoyable for their guests. You can always stick with wedding themes that are simple and elegant or go all out and do something that's never been done before to make your wedding truly special. 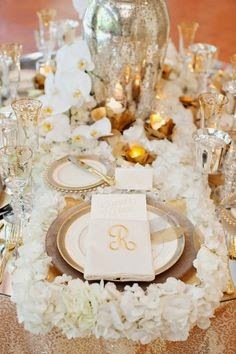 Remember that a wedding is an important occasion for both the bride and the groom, and a wedding theme needs to reflect that. 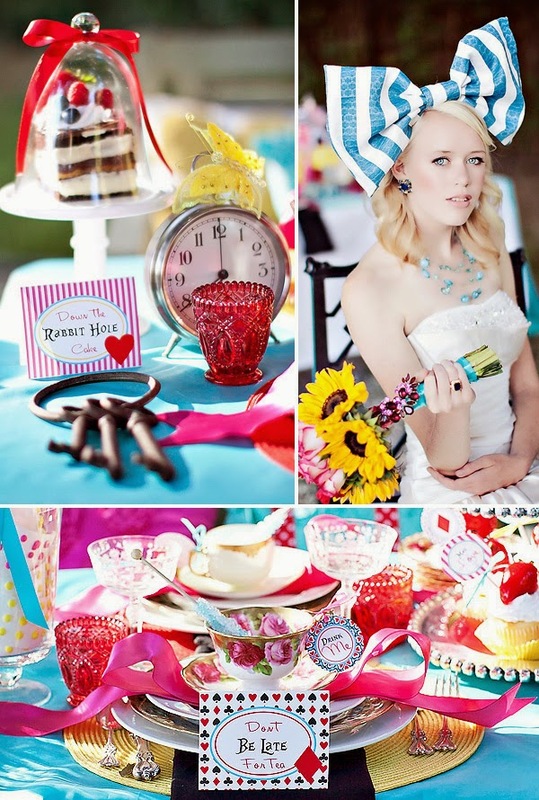 Take the time to sit down with your partner to explore possible wedding theme ideas that will make you both happy. 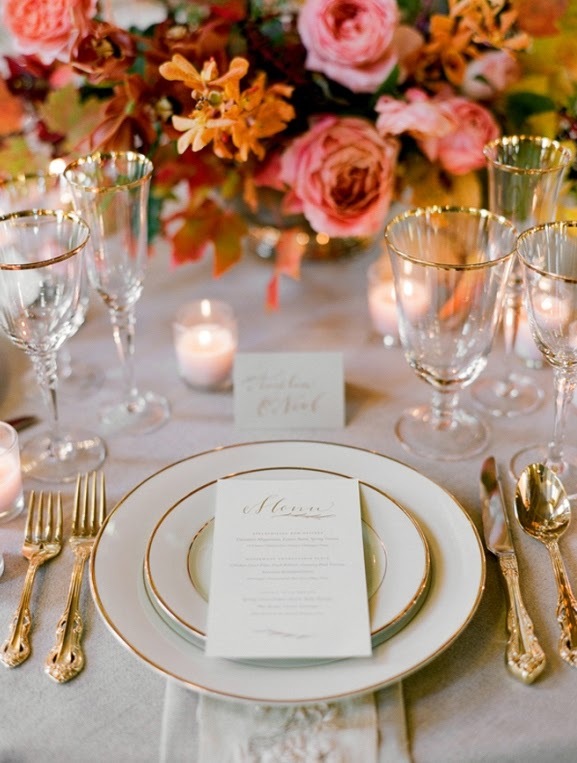 Consider the mood and atmosphere you want to set for your wedding. 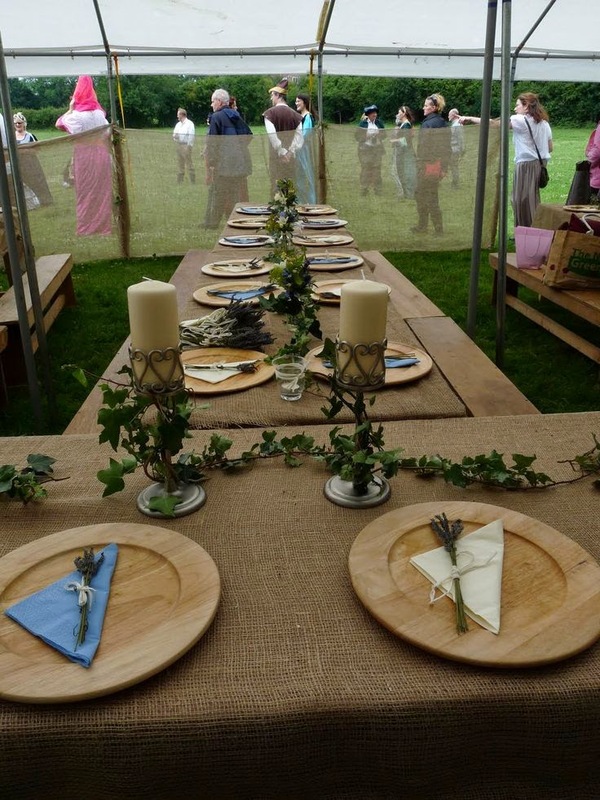 Would you like it to be very traditional or fun and quirky? Sophisticated or relaxed? Then go a little deeper and think about your personal style, personality and interests. When you figure out a general direction for coming up with a theme, the ideas will come to you naturally. Take a look at some wedding themes below and the areas of your ceremony and reception that can be influenced by the theme you choose. 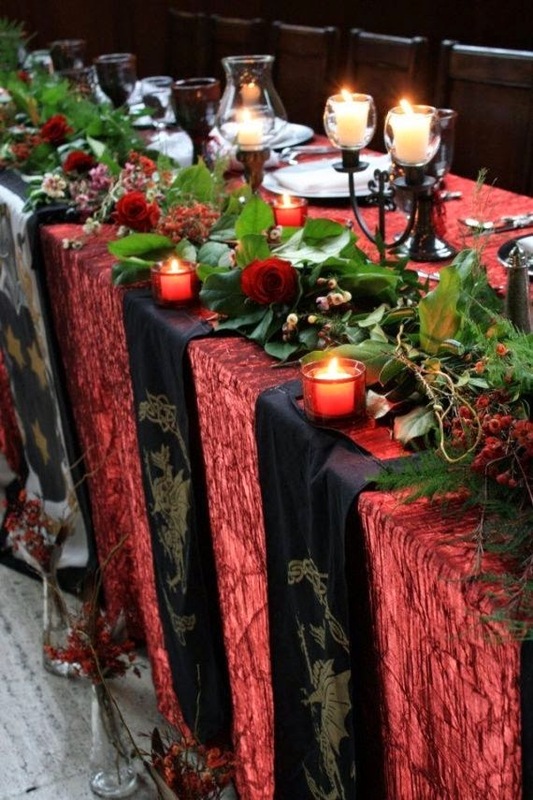 The perfect setting for this theme would be in historical churches or castles. The use of calligraphy is a great way to distinguish this time period. Decorations with a gothic feel and deep rich colors such as blue and purple work best. The ideal ceremony location for this theme is a Victorian style mansion or a garden with a beautiful gazebo, and there is nothing more fitting for the reception than having it in a grand ballroom. Lace can be used to adorn not only the bride's dress, but also the table setting and other elements for décor. 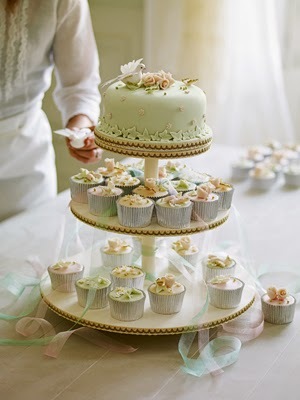 Go with light colors in white, off white and pastels, and do not forget to add tea to the menu. 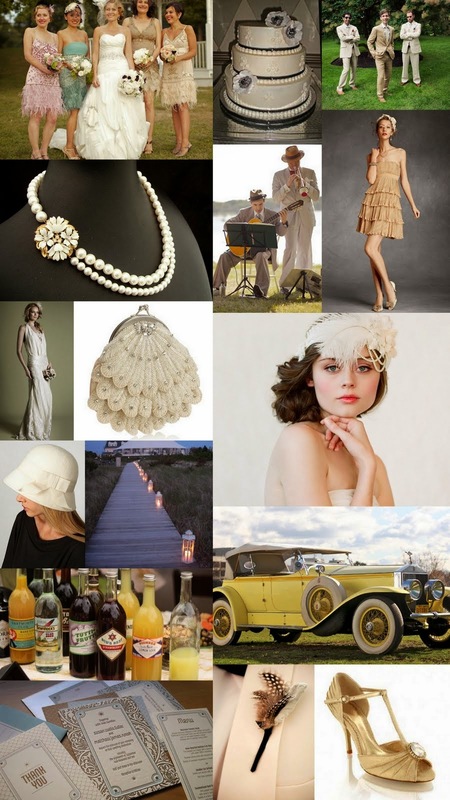 The bride can be very creative with her wedding day look by wearing unique headpieces or donning long strands of pearls. Bridesmaids can opt for a shorter dress that resembles the iconic flapper image of that era and groomsmen can sport a fedora to take them back in time. Your music selection for the reception can center around jazz, couple that with a uniquely cabaret style setting. 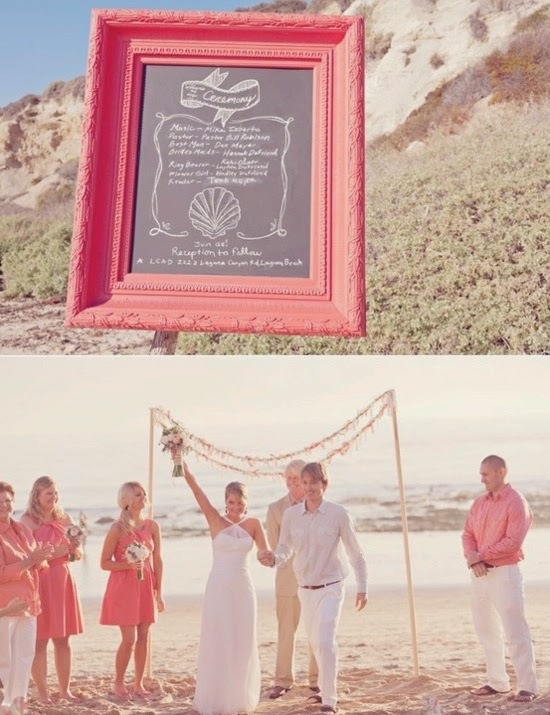 A wedding that takes place on a beach requires the dress code to be casual, with dresses preferably short. 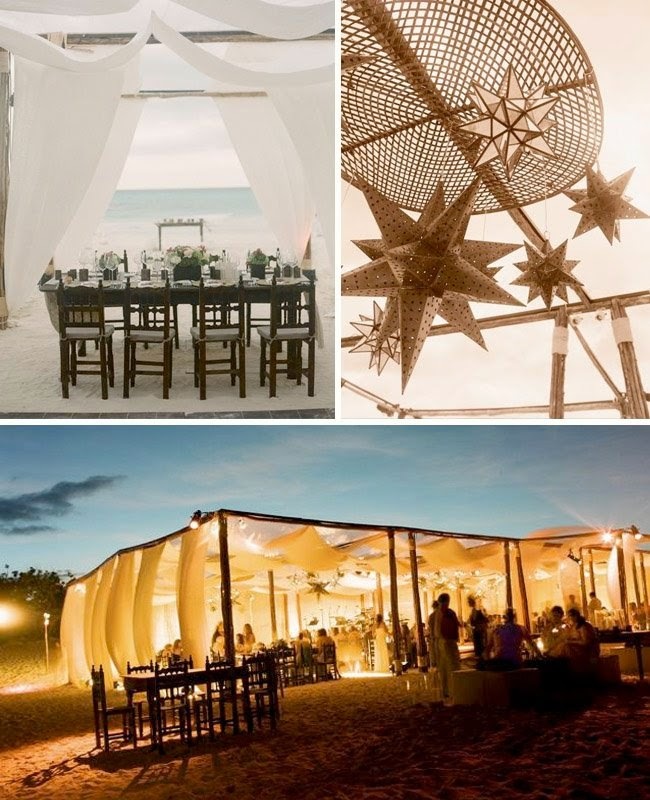 Seashells, starfish, flip flops and sandcastles are all popular beach related items that are frequently used in the décor for this wedding theme. Blues, whites and sandy colors typically represent this beautiful setting, and tropical exotic flowers should be used. 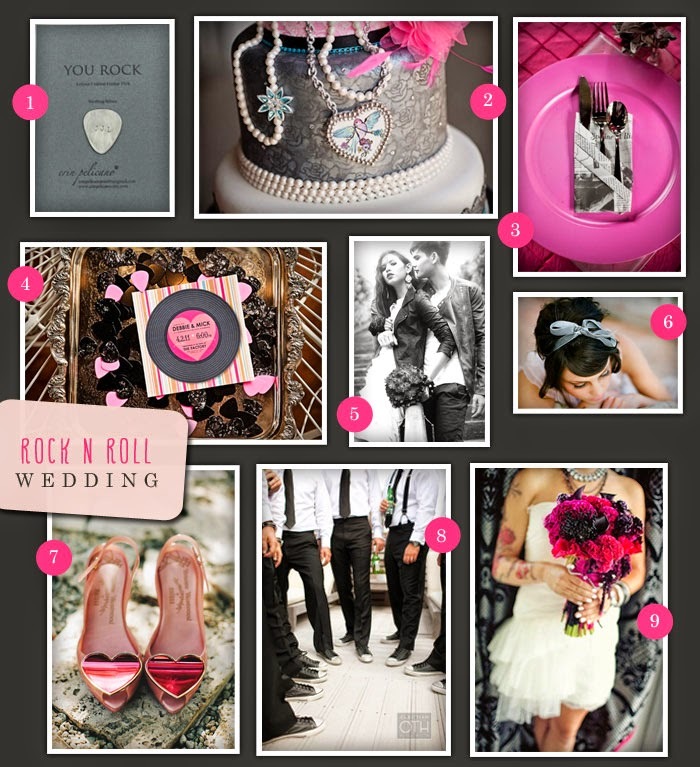 The most important aspect of this wedding theme is the music, let your guests rock and roll all night long. Instead of dressing like a classic bride and groom, go with something a little more rebellious. Think of your favorite rock songs and use elements from the song for decorating ideas. 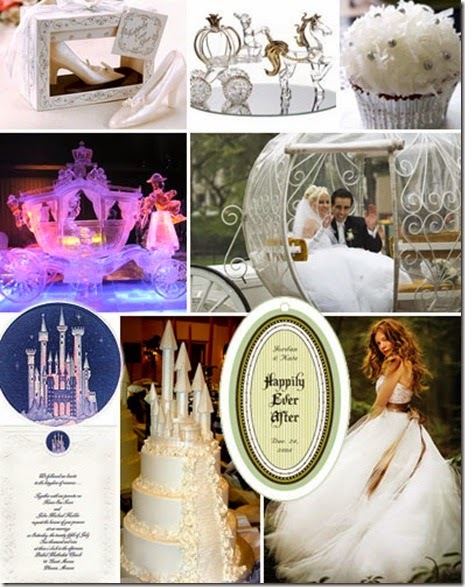 Most girls who dream about their happily ever after need a wedding that is fit for a princess. 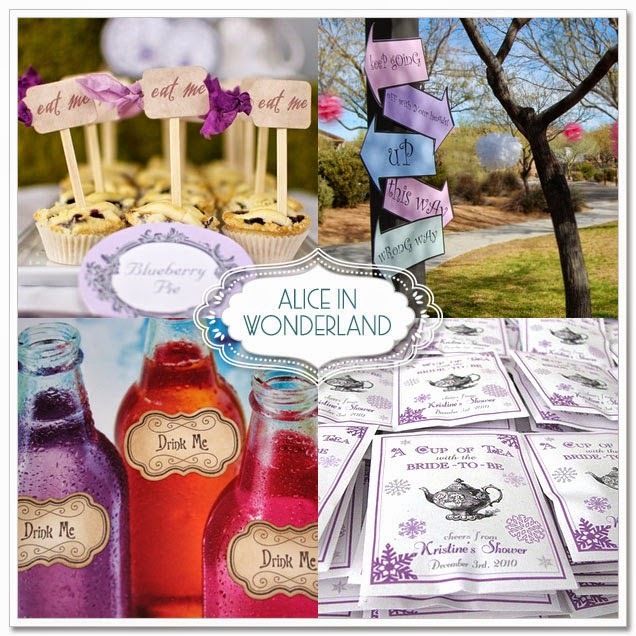 Get ideas for your ceremony and reception from your favorite fairytale stories. 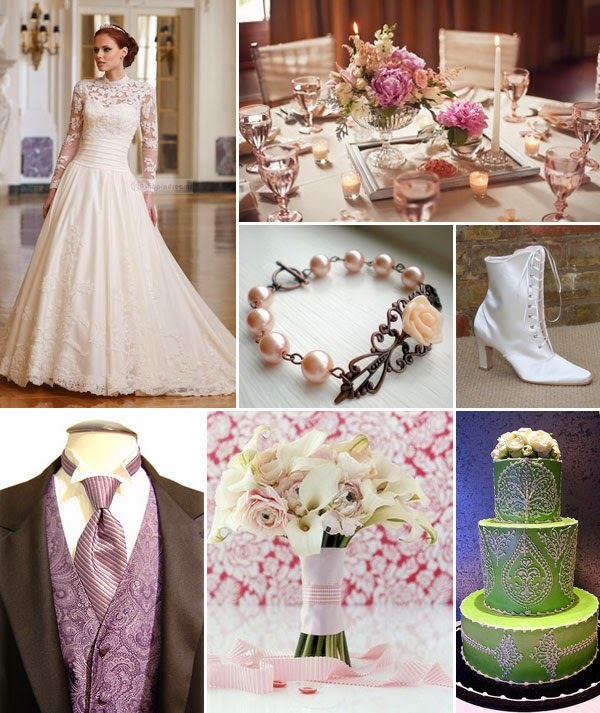 You can go all out with horse drawn carriages and a grand ballroom or use subtle touches to create this theme. The big screen is a great source of inspiration for many couples. If you want to capture the feel of a certain movie for your wedding, the possibilities are endless. From the wedding attire and music to the food and decorations, there are a lot of different things you can do to make the movie come alive. Some great movie themes include Alice in Wonderland, Grease, and Gone with the Wind. What are some of your favorites?